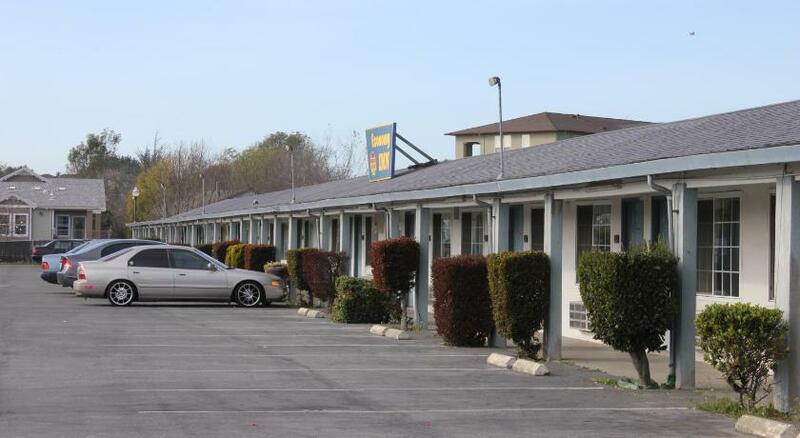 The Economy inn Watsonville has 30 clean and cozy rooms with simple decor. Free Wi-Fi connection is available in all rooms. A small activity desk, cable TV, refrigerator, and a microwave are included in all rooms. The front desk is available all the time. Free parking service is offered to the guests on site. Facilities for the disabled guests are also provided by Economy inn Watsonville. A complimentary continental breakfast is served to the guests every morning. Free newspapers are offered in the lobby of this hotel. All rooms have private bathrooms featuring a shower/tub combination. Tea and coffee are served to the guests in the common area. Santa Cruz Beach Boardwalk is just 27 km away from this hotel, the Watsonville Municipal Airport is just 4.8 km away, and this feature makes it a travel-friendly hotel. This hotel an amazing choice to stay among other hotels in Watsonville ca. A beautiful city in California, Watsonville has a pleasant climate, it is an ideal place to visit for the nature lovers. One of the best things to do in this city is to visit its farms growing apples, strawberries, and many other fruits and vegetables. The Sunset State Beach, Gizdich Ranch, Palm Beach State Park, Santa Cruz County Fairgrounds, Farm Discovery at Live Earth, and Strawberry Festival are some of the top places and things to do in Watsonville.